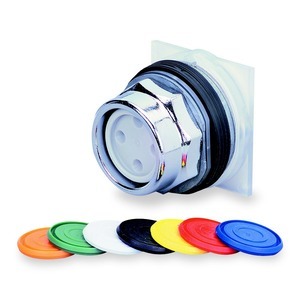 This Schneider Electric Harmony 9001K modular recessed push-button with extended guard and set of 7 color caps has 2 positions, operates with spring return mechanism. It fits in a 30mm hole. It has a chromium-plated metal bezel.